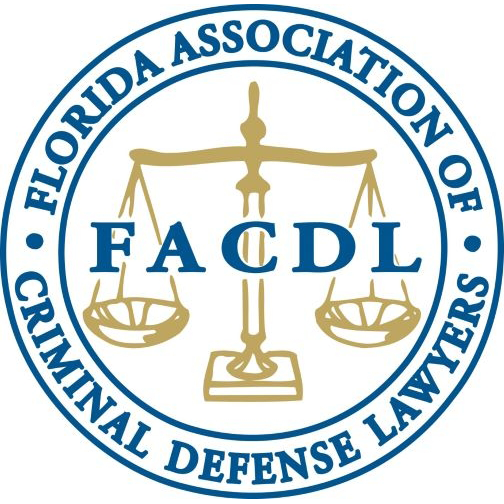 The Florida Association of Criminal Defense Lawyers, Inc. (FACDL), is a not for profit corporation formed in 1988. Since its creation, FACDL has continued to promote excellence in the practice of criminal law and protect the rights of the accused. FACDL is the leading statewide association exclusively serving the comprehensive needs of the criminal defense bar. Criminal defense lawyers in Florida who join FACDL enjoy publications focused on criminal justice issues and discounts on CLE seminars. Members of FACDL's Legislative Affairs Committee promote FACDL's legislative agenda. FACDL also employes a full-time lobbyist in Tallahassee, FL. FACDL's standing committee for Amicus Curiae (Amicus Committee) files amicus briefs in pending cases that have a potential state-wide impact on the criminal justice system. The Amicus Committee also monitors rule amendments and proposed jury instructions pending in the Florida Supreme Court. Networking opportunities with some of the most experienced criminal defense attorneys throughout the state of Florida. the Pinellas County Criminal Defense Lawyers Association. Blood Breath and Tears Seminar in September in Orlando, FL. In 2018, the Blood, Breath & Tears XXV Seminar was held in Tampa, FL, on September 17-18, 2018. Many of the top DUI defense attorneys in Florida attend and present at the seminar each year. Topics for the seminar include bringing legal challenges to Florida’s Intoxilyzer 8000, the sufficiency of the FDLE rules on blood collection, preservation and testing, breath testing defense trial strategies, tips on picking a jury in a DUI case, effective cross-examination techniques, opening statements and closing arguments, using expert witnesses, filing and litigating effective pre-trial motions, DMV hearings and appeals. At the FACDL Board of Director’s Meeting on March 28, 2015, the Board voted on and passed changes to Life Membership with FACDL. Prior to July 30, 2015, the life membership was offered at the cost of $2,500.00, payable at the rate of $500.00 per year. Each life member is designated as such and receives a marble plaque and listing in every issue of The Defender. As of April 17, 2015, there were 110 Life Members in FDLE. After a study was conducted by the FACDL committee, it was recommended and subsequently adopted by the Board that as of June 30, 2015, the cost of life memberships was increased to $4,000.00, payable at the rate of $500.00 per year. All current life members will remain life members under the original terms and conditions. Membership with the Florida Association of Criminal Defense Lawyers is valuable. Life membership shows your dedication and loyalty to the organization and improving the criminal justice system throughout the State of Florida. FACDL presents the “Steven M. Goldstein Criminal Justice Award” at every annual meeting. The award is given to the individual who, through his/her service, represents or personifies what the criminal justice profession has to offer. The achievements of the award recipient must encourage others within the criminal justice system to act with integrity, independence, expertise and courage to protect and defend the rights of others. Steven M. Goldstein was a former legal services attorney and professor of law at Florida State University College of Law. He worked as a tireless advocate of the legal rights of the poor and disadvantaged. On a national level, he was respected for his dedication to upholding the constitutional rights of those with unpopular causes. When he died in 1994, at the age of 49, Steven Goldstein was chair of the legal assistance for the poor grant committee. He was scheduled to become the secretary-treasurer of the Foundation. 1999 The Honorable O. H. Eaton, Jr.